Laura is a qualified equestrian coach who continues to improve her coaching style through the British Horse Society's examinations and Coaching workshops as well as ; through British Eventing and the UKCC training qualifications. Having recently gain her Jon Pitts coaching certificate which is based on improving rider performance, confidence and safety. 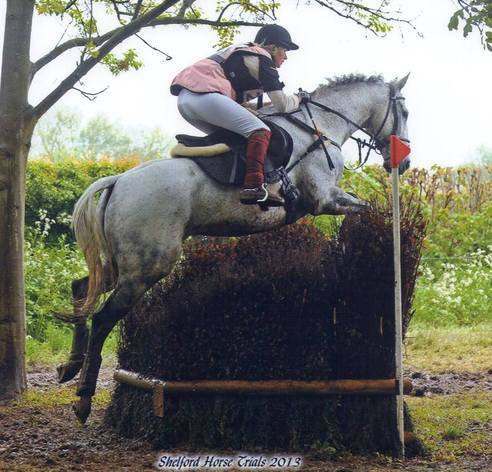 As a coach Laura has spent years adapting and developing her coaching style and has a huge client base ranging from pony club through to competitive riders. Recently Laura has been working in equine therapy field at Chater Valley Farm. This is a line of coaching Laura is finding hugely rewarding. Working with recuse horses and clients with various disabilities in the round pen using natural horsemanship techniques including join up. Laura has had an overwhelming response for her clients, their carers & parents! Laura's aim is to develop horse and rider into a harmonious partnership - her philosophy of training horse & rider to achieve their goals and a real partnership , Laura has been developing her "true horsemanship" coaching from this. Using all of her abilities gained and years of experiences; Laura is developing and becoming a real horseman or should say women. Mixing more traditional training ideas learnt from being based with many top riders in the UK and Europe mix with the 'natural' training approach to develop her own training methods for horse and rider. These already are proving very successful and beneficial for both horse and rider , often leaving the rider amazing at their huge progress in such a short space of time! Laura has been horse riding since she was eight years old. A first riding lesson brought as a Birthday present by her parents proved to be very expensive! 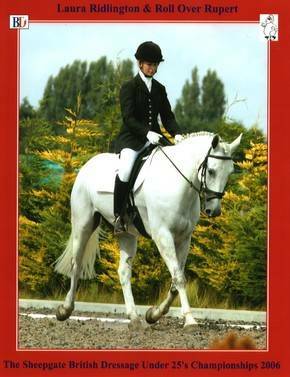 Laura learnt to ride at an accredited large local riding centre Grange Farm, Wittering. 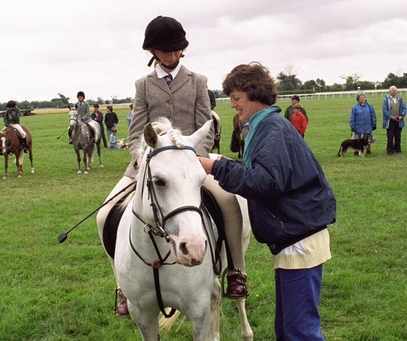 Here Laura attended their pony days and camps getting a taste for the horse world from an early age. Following this Laura loaned Argy, a sharp 12.2hh pony from Woodgreen Animal Shelter. 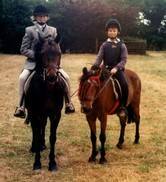 By the age of ten Laura was already competing successfully in Working Hunter classes and gymkhanas. Argy was a lovely pony who had unfortunately been mistreated in the past, but with kind handling (and plenty of cuddles!) He went from being impossible to catch, to coming to greet Laura at the gate. He would even jump the water trough! Laura then moved onto 13.2/14.2hh ponies attending all Pony Club activities and had great success with the ponies on the local show-jumping circuit, gaining an impressive almost unbeaten SJ record. From ponies Laura made the big step onto horses, hunting, producing youngsters and riding out friends Point2pointers. Laura's first taste of eventing was with Roll Over Rupert. 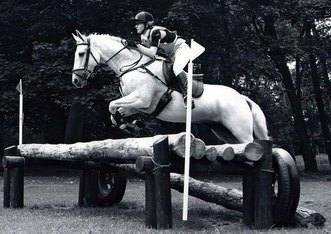 A stunning 16.2hh grey brought as a school master to start off her eventing career, although this was not all plain sailing .... Despite some placing's at BE 90/100 level, Rupert was unable to continue eventing due to a soundness issues. After a successful operation Laura decided it would be better to take things slowly and spent a year just on the flat, building up correct muscles and strength in his hind legs. Rupert came on leaps and bounds; qualifying within two weeks of competing again for the BD Novice Regional Championships and scoring a 3rd & 6th at the National BYRD'S U25's Dressage Championships against some really strong competition. Although he'd often be in the lead after the dressage phase, the jumping would sometimes let him down. Laura was concerned that this was due to her, however' after discussing the jumping with her trainer it was later found to be due to his on-going soundness issue's, leading Rupert to be retired from eventing. He is now on loan to a dressage home, continuing his winning ways and adoring being the centre of attention. Then without a horse to fill Rupert's shoes Laura spent a year on catch rides and producing youngsters for clients. Laura now owns an exciting potential young horse "Babykins" to produce on from a race horse. 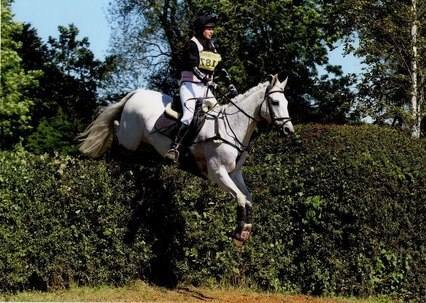 At the end of 2010 Laura received a bit of good news - a call from Mrs Postolowsky (Mother to top event rider Alex) who had a gorgeous grey gelding available. Wizard had initially been purchased with the hope of going to 4star with Alex. Unfortunately a tendon injury meant this no longer could be the case. Laura was head over heels for the rather sharp grey right from the start & was more than happy to be given the ride. With having so much time off from injury, Laura spent 2011 bringing Wizard back into work & developing a relationship with him. Ready for the 2012 season Laura has now purchased Welton Wizard - fingers crossed for Laura and her team this season. In May 2008 Laura made the decision to leave home with her horses and move up to Yorkshire to be based at The Yorkshire Riding Centre. As Summer Camp Manager, Laura had the fantastic opportunity to work and train with one of the best; Chris Bartle, as well as Jane Bartle and Chris's wife, Ali P. Laura gained first class training with her own horses in competition/schooling and learned correct yard management, as well as attending lectures towards BHS exams. This was the ultimate opportunity for any young rider, especially with the added bonus to cheer on your trainer who was coaching the German Eventing Team to achieve Team and Individual Gold at the 2008 Olympics!! After this Laura moved closer to home working for event riders Mark & Tanya Kyle at Queenholme EC, riding young event/showjump horses and learning the ropes on a huge event/hunt yard. Laura is currently working towards her BHSII Instructor's Qualification. Laura is a BHSAI & Pony Club accredited Coach and is available to teach afternoons and weekends. Laura holds the BHS Stage 3 Riding & The BHS Groom's Certificate. In addition to this Laura has also passed a foundation Introductory course on Human and Equine Shiatsu, something which Laura would like in the future to study further. Laura has been working for Woodcroft Stud assisting in the riding and producing of top quality dressage horses and elite young stallions, brood mares and foals. After this Laura ran and taught as Yard Manager/Instructor at Bulby Hall EC for a year. Managing the yard, horses, staff and clients Laura taught a range of pupils both on the flat and over fences. Now based with professional event rider Angus Smales she is available for private tuition, exercising/competing & as a freelance groom. To book a lesson or contact Laura, please see the Contacts page. Laura would like to take this opportunity to thank her parents & trainers for all those years of help & support. The year started with a tough decision to leave Bubly Hall EC, where I thoroughly enjoyed my role as Yard Manager & Instructor to join Team Angus Smales Eventing. I had such a fabulous horse Welton Wizard and was keen to get my green youngster Babykins going, very much up for a competitive year. Working for Angus as a rider/groom I would be in the heart of the eventing scene and really be able to get the most out of the season. Those of you who know me or have checked my 'News' page would know this didn't end up being the case. Unfortunately I was involved in a very serious non fault car accident on the A1 Motorway. Leaving my car written off & me with an acute fracture to my T7 vertebrate in my spine! I was left in pain as well as frustrated I'm missing out ... again! Thankfully with lots of patience from my brilliant trainers (Malcolm Holthausen, Caroline Moore & Julia Dungworth) as well as my phyiso, excessive amounts of painkillers (but still way too much pain) and an awesome horse I did manage to get in some eventing (but much later on in the season). My next hurdle, like for many was the weather! With my training runs cancelled me and Wizard where thrown in the deep end but boy did he fly! We were about to land a win at our first BE only to annoyingly gallop past a fence at the turn for home for a frustrating 20 penalties. My bad luck didn't stop there after a brilliant time at Aston-Le-Walls a tendon scan showed a small hole forming just above a previous injury. My vet assured me it was treatable as was caught soon but I felt the right decision would be to retire Wizard from eventing. This was utterly heart-breaking for me as he was a one of a kind and we had such a partnership & he was by far my best horse. Very kindly I was given a ride on a super horse from the Lawrence David Event team and we clicked straight away popping round the BE Novice at Shelford HT. Unfortunately he was for sale, unable to raise funds to purchase this amazing horse was quickly snapped up and my season seem to end before it got going. When an excited opportunity arose to head off to Spain to groom on the Sunshine tour the moment was seized (!) and I gained valuable experience working at the highest level with top class horses & riders. On return I have continued to work and train at NTT Equestrian and am very grateful for all their help & support.